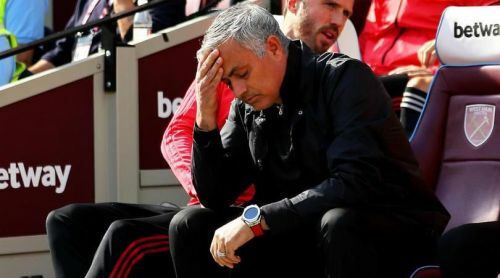 Manchester United are set to experience a mass exodus with as many as 10 players reportedly willing to leave if manager Jose Mourinho stays on. The Red Devils have endured a tough start to the season, leaving Mourinho under serious pressure to turn things around. The Old Trafford outfit remain outside the top four places, having lost three out of eight Premier League games this season. The club’s woes have also been compounded by a dressing room meltdown which has seen some players fall out with the manager. The most visible was Mourinho’s training ground bust-up with Pogba, leading to the Portuguese stripping the Frenchman off the vice-captaincy. But reports suggest that nine other first-team players are ready to follow the France midfielder out of Old Trafford should Mourinho stay on as manager. The Daily Mail reports that last Saturday’s 3-2 comeback win over Newcastle United “merely papered over the cracks at United that have been apparent for some time between Mourinho and some of his players”. The report claimed that David De Gea and Anthony Martial have also threatened to leave the club if Mourinho is retained as manager at the end of the season. Meanwhile, the likes of Luke Shaw, Eric Bailly, Antonio Valencia, Juan Mata, Ander Herrera, Ashley Young and Phil Jones, have also been named as players who have grown discontent with the Portuguese and are ready to jump ship. This comes at a time when Mourinho is facing uncertainty concerning his immediate future at the club. Last week, reports were rife that the 55-year-old would be given the sack but it was later denied by Man United. The latest report suggesting as many as 10 players want Mourinho out has sparked serious talk on social media. Let’s take a look at what football fans are saying on Twitter about this new development. According to Mail, Shaw, DDG, Martial, Valencia, Pogba, Bailly and Rashford want to leave if Jose stays ..! @SportsBreakfast Man United Have 10 players coming to the end of their contracts in the summer, why no mention of that? So because of one game v a shite team anyone who remained Mourinho out is suddenly a plastic now. Lol Man U’s behavior is clearly deliberate. The players want Mourinho out!